Mustard - Yellow, 8 oz. 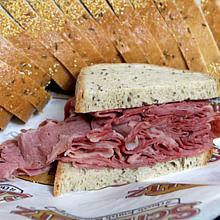 No corned beef sandwich is complete without Schmaltz's yellow mustard. Just the right amount of tangy and sweet, you'll want to double up! Delivered to you in a 8 oz. jar. 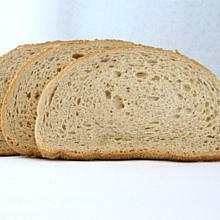 This product is perishable and is covered by our Perishable Product Shipping Guide. Mustard - Yellow, 8 oz. has been added successfully to your wishlist. Remember when you were a kinder - when your mom packed your lunch every day? She was sure to spread your sandwich with your favorite mustard, simply because she knew it was your favorite. She knew exactly how much to spread on each piece of bread, and did it lovingly, even if she did think you were a little meshugene. Schmaltz's yellow mustard has that tangy, sweet kick you remember. It is the perfect accompaniment to your overstuffed corned beef sandwich. But this mustard is not only good for spreading on your corned beef sandwich. How about dipping pretzels in it or using it as a unique ingredient to add a little more flavor to your dips and salad dressings? Oh, and don't forget to add it into your potato salad or egg salad. Everyone will be kvelling over your delicious recipe. There are currently no reviews for Mustard - Yellow, 8 oz., but you can be the first! Rye - seedless, 2 lb. Schmaltz Recipe Corned Beef, 1 lb. Sending Jewish Deli Goodness Everywhere! © 2019 Schmaltz Online, LLC.